Vibrating Plate - Reach It! - Move It! - Crush It! Vibrating plate is destined for earth compacting and is easy to attach to an Avant. 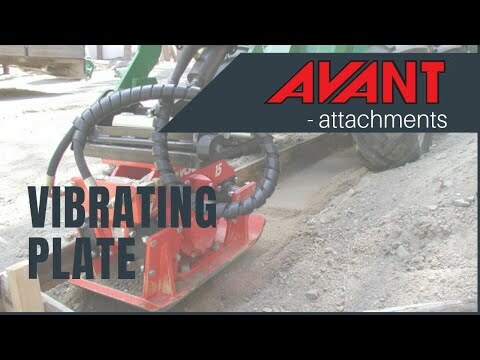 Compacting is easy and safe with the vibrating plate connected to Avant’s quick attach plate – the operator is not exposed to vibrations or excessive noise.